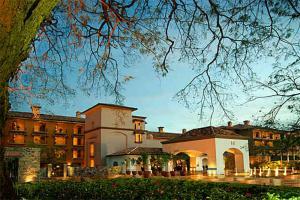 Discover a distinctive oasis at the Buenaventura Golf & Beach Resort Panama, Autograph Collection. This premier luxury resort offers elegant accommodations and suites set among lush gardens and a lagoon with vistas of the Pacific Ocean. Located on the coast in Coclé, the resort is 80 minutes west of Panama City. Located on the coast in Coclé. Tocumen International Airport is 74 miles from the hotel.